The latest example of this as-you-wish mentality was recently announced and reported in an article for CNN by Taylor Nicole Rogers titled “Amazon’s new waste-reduction strategy: Delivery only once a week.” Upon first reading that headline, you might think, “Wait a minute. Won’t that mean it takes longer to get my packages?” For example, what if packages are delivered on Tuesdays, but the order was placed on a Wednesday? That’s where the beauty of this marketing tactic comes into play. Not only does the customer pick which day of the week their packages are delivered, they decide whether or not to opt into the one-delivery-per-week paradigm in the first place. For customers who still want to be able to order a charcoal grill or an ironing board from Amazon and have it delivered in two days through Prime that option still exists. But if you do opt into the program, your orders will be held for delivery on your selected day of the week. For instance, let’s say you’ve placed several separate orders over the last few days and you set your “Amazon Day” to Friday. Amazon will wait until Friday to deliver everything, even if some of those orders could have been delivered a day or two earlier. It’s hard to know at the outset what kind of impact this program will have on Amazon’s overall carbon emissions. Perhaps they’ll do a before and after analysis and publish the results. 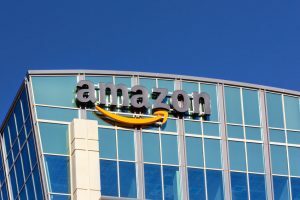 The program lets some consumers feel good about “doing their part” to reduce carbon emissions while allowing others to maintain the convenience Amazon’s delivery service has used to create a strong competitive advantage. Amazon tends to know what it’s doing so this will be an interesting move to monitor. This entry was posted on Thursday, April 4th, 2019 at 10:48 am	and is filed under Customer Service, Innovation, Marketing and Branding. You can follow any responses to this entry through the RSS 2.0 feed. You can skip to the end and leave a response. Pinging is currently not allowed.